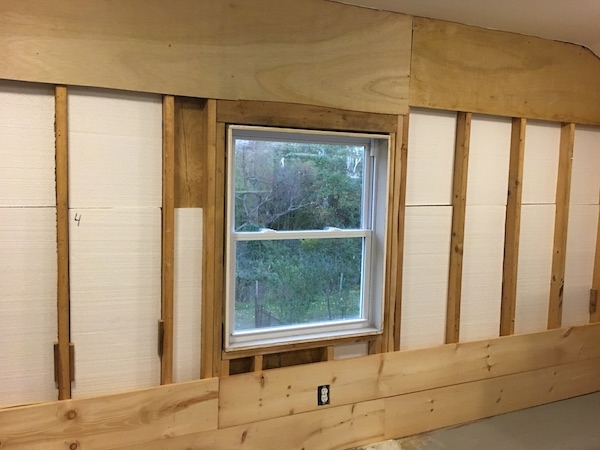 When people find out we are removing all of the fiberglass from our home they often ask, how will you keep your house warm? Won't your heating bill be through the roof? As if blown in glass is the only way to insulate and without it, everyone will freeze to death or have sky high heating bills. When the truth is, fiberglass became popular in the 1970s and homes stayed warm before its invention. Homes used to have thicker walls and more wood. Now homes are built with thin walls and blown in glass to help hold the heat in. Its sealed behind the walls without even considering the shelf life and the fact that with age or water damage, it can and will shatter and float around. In addition, it is an almost perfect breeding ground for mold. 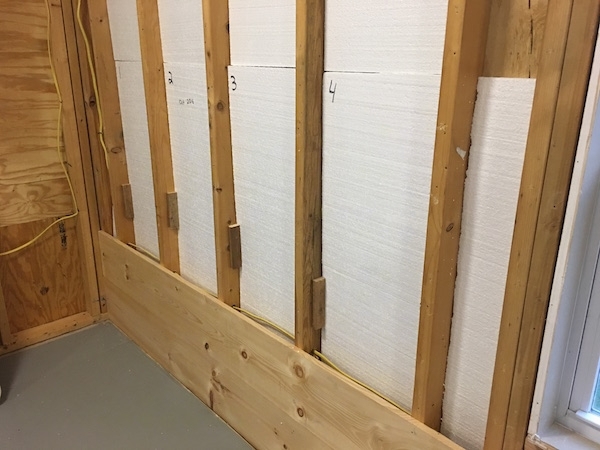 When we removed all of the fiberglass batts from our barn we chose to replace them with styrafoam panels and thick wood. I personally prefer not to use a material that floats around the air on my property, especially one as dangerous as spun glass. My thoughts are, if you have to wear a mask to install or remove it, its not something your children should have behind their bedroom walls as they sleep. Nor is it something that should be vented out of an attic to the outside where they play. 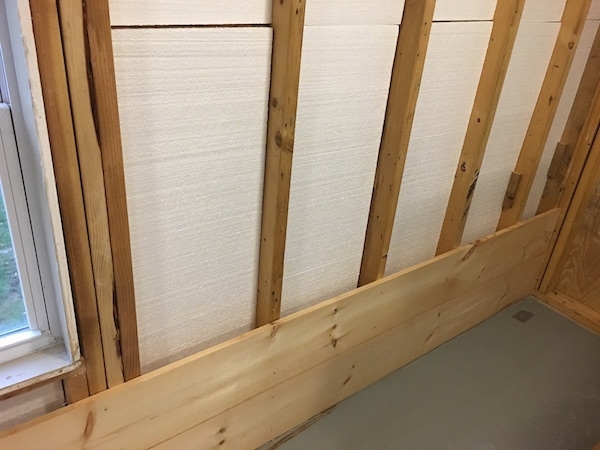 The Styrofoam panels installed easily without having to wear a mask. 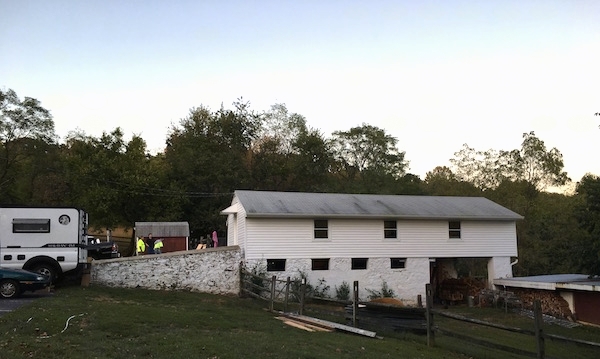 Unlike fiberglass, it will not shatter and get sucked out of the outlet sockets when the barn experiences any type of negative air pressure or water damage. Nor will it sag in the stud bays like fiberglass does. The wood walls can be painted or left in a natural wood look. After removing all of the drywall and seeing how dusty it is, I decided I will not be putting any new drywall in. I personally like thick wood. We will also be replacing the asphalt roof shingles, as they too contain spun glass that shatter and float in the air. We are considering replacing them with tin. 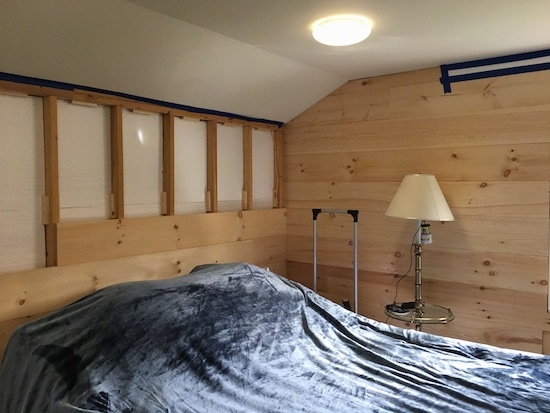 These materials are so safe that we can still live and sleep in the room while it is under construction, even with the insulation exposed. 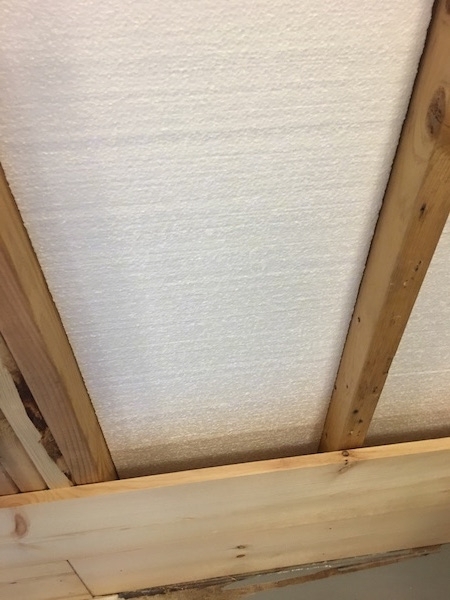 Putting styrafoam peanuts into an attic. 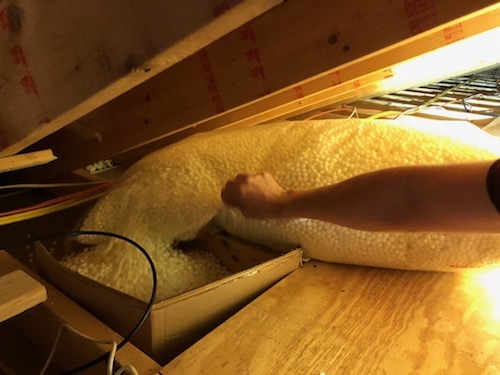 Putting styrafoam balls into an attic.